Marriage is no doubt the most important occasions in one’s life. Much planning needs to happen to properly transform this special day into an event that will create memories for everyone involved. Why not add something unique to your wedding so that you along with your guests can enjoy your day to the fullest? 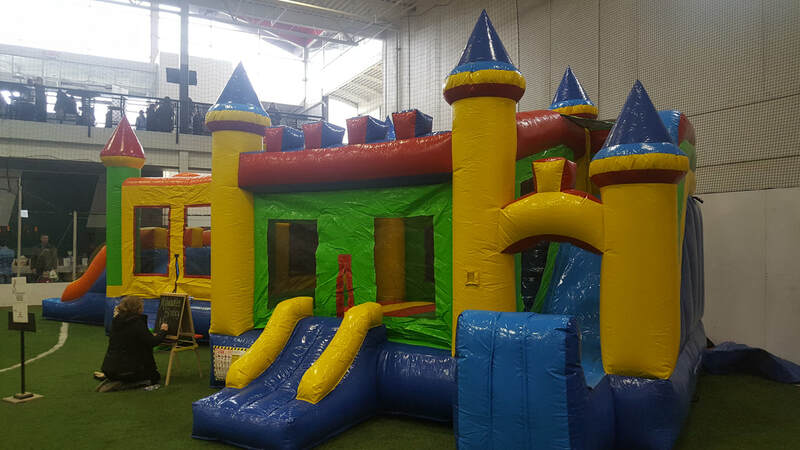 Consider adding one of our commercial bounce houses to make this day much more exciting. Traditional weddings are often considered to be stressful and exhausting because you have to ensure that everything is going according to plan. 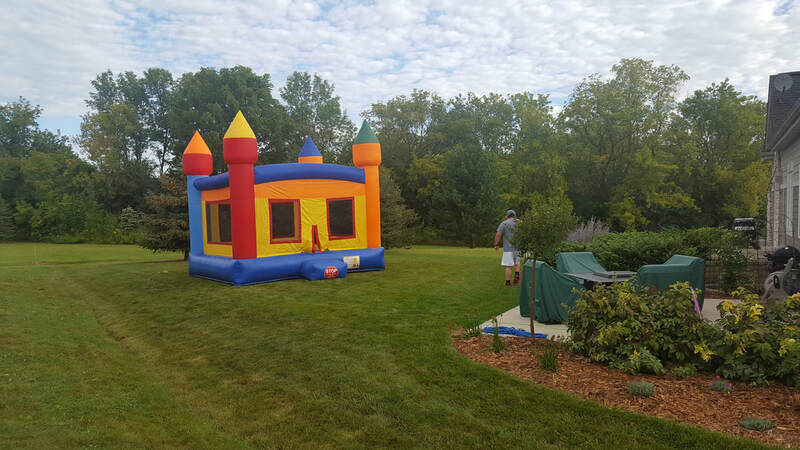 If you are a fun loving person and want to add something different to your wedding, then bounce house would be an excellent way to reflect your style. They will also give that extra jolt to your event in which your guests will know that they have attended something truly magnificent. As there will be numerous people who will joining you, many families along with their kids will be in attendance. It becomes important not to forget to have entertainment for the kids as they expel all of their energy. Including a bounce house in your wedding will not only keep the toddlers occupied but will also let the adults enjoy the special occasion to the fullest. One of the best things about the bounce houses is that it provides hours of safe fun for children. Kids love to play, and having fun on inflatable will keep them busy, which will further let their parents enjoy your wedding ceremony. Contact one of our bounce house representatives today and let them help you in choosing the perfect bounce house that kids will adore. A bounce house will not only give great joy to the children but will also complement your wedding theme. Where is it written that bounce houses are only for kids? No matter what your age is, you can enjoy some imagination time in a bounce house. You might feel little embarrassed, but when people see you stepping into your chosen bounce house, everyone will come forward to join you. What can be more exciting than this? You and your guests will have fun when it comes to jumping on a bounce house. Moreover, it would be the perfect addition to your extraordinary celebration as it will provide an exciting time for the guests of every age. 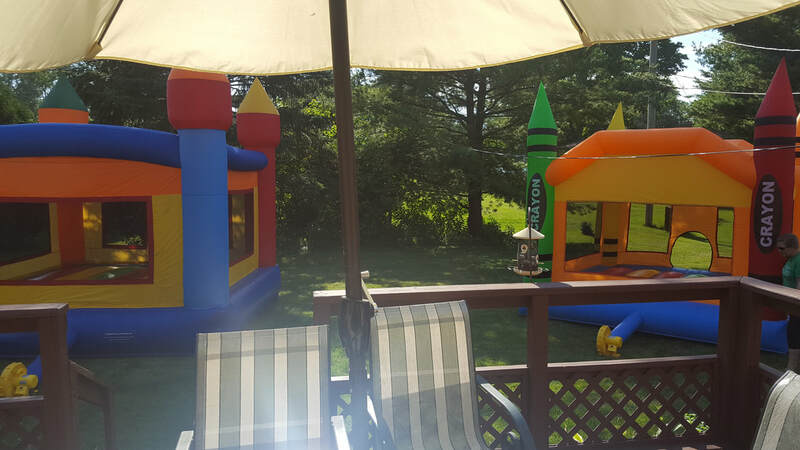 Your day will become even more enjoyable by adding bouncy castle. It takes a lot of ideas along with efforts to plan the theme of your wedding in order to make your day a memorable one. When you include a bounce house with a design that matches your wedding theme, your guests will immediately get to know about your unique taste of selection. A bounce house will instantly bring an addition your wedding and will leave a positive impact as well as valuable memories in the minds of your guests. In fact, their kids will remember you for all of the special arrangements in your wedding. It will be an excellent idea to include bounce house in your wedding to make your event more enjoyable and unique.